When you've tasted the perfect olive, you can't help but wonder if you can save the pit and grow your own tree. An olive tree (Olea europaea) can be grown from a saved seed, which is inside the pit, but it may not bear fruit true to what you've just eaten. Hybrid varieties tend to revert to traits of their parents. If you want to grow an olive tree from a seed, use an heirloom variety or skip the guesswork and buy seed from a seed company. Either way, growing an olive tree from seed can be challenging, so be patient. Remove the flesh before sowing olive pits. If you are saving seed from an olive, use one picked fresh from the tree. Those that have fallen on the ground could be susceptible to disease, and those that have been processed are not likely to germinate. For saved seeds and purchased seeds, start by cutting off one end of the outer seed coating; then soak the seed in fresh water for 24 hours. This helps speed up germination. Because these seeds are difficult to germinate, soak more seeds than you'll need to offset losses. If you live in U.S. Department of Agriculture plant hardiness zones 8 through 10, sow olive seed directly in the ground when soil temperature warms to 80 degrees Fahrenheit in spring. Select a spot that gets six hours of full sun each day and is protected from wind. An olive tree grows to 35 feet tall and spreads 30 feet wide. It grows in most soil types, as long as they are well-draining and have a pH below 8.5. Sow seed 3/8 inch deep, press the soil with your fingers, water enough to moisten seed in the soil and cover with about 2 inches of mulch. Don't fertilize at this point. You can also start the seed indoors using potting mix and a pot with bottom drainage that's placed near a sunny window. An olive seed takes approximately 40 days or longer to germinate, so keep the area watered and weeded while you wait. Whether seeds are in pots or in the ground, water them when the top 1 inch of soil dries out, applying enough water to moisten the seed. Once the seed sprouts, continue to water and clear away weeds. 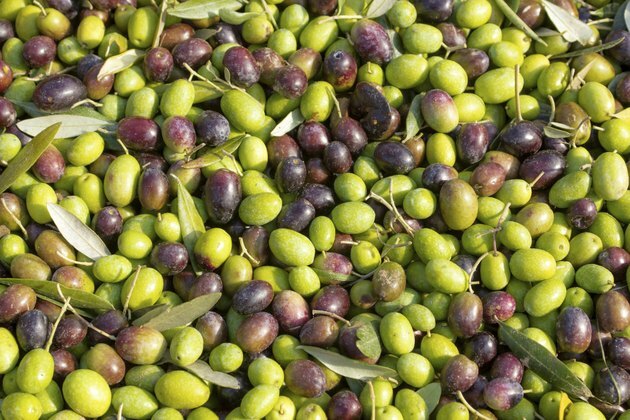 An olive tree needs about two months of temperatures below 50 degrees Fahrenheit to bear fruit. When the seedling bears its first flowers, which can take up to three years, fertilize with granular 10-10-10 fertilizer. Sprinkle 1/2 pound -- about 1 cup -- of fertilizer in a band around the tree 1 foot from the trunk; then scratch it into the soil with a rake. 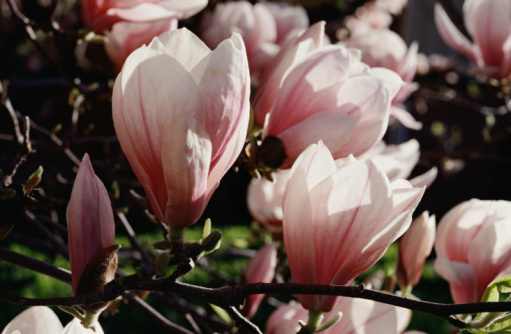 Apply fertilizer annually whenever new growth is less than 12 inches, just before buds break into blooms. When choosing seed to grow, pick a variety that is self-pollinating. 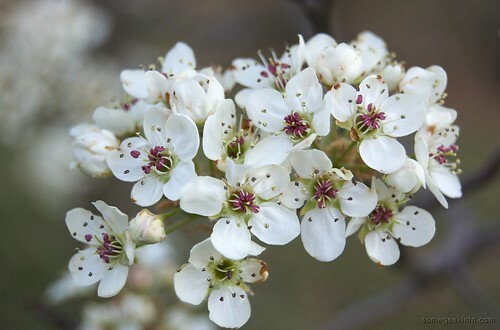 Varieties that are not self-pollinating require another variety nearby to pollinate and produce fruit. Self-pollinating cultivars include "Mission, which grows in USDA zones 8 through 11, and "Manzanilla," which grows in USDA zones 8 through 10. Olive trees can be invasive, so don't plant a pest if this is the case in your area. How Long Do Mango Trees From Seedlings Bear Fruit?